Immanuel’s YOUTH and FAMILY MINISTRY COMMITTEE is charged with the responsibility of encouraging youth and adults to involve themselves in this congregation’s ministry. Our role is to a) equip children and youth for witness and service, b) nurture families in strong life-shaping Christian values and c) develop congregational life to become a sustaining, extended, family of faith. Send our Youth to Detroit for the National Youth Gathering! In July, our youth (entering 9-12th grade) will have the opportunity to go to the ELCA National Youth Gathering in Detroit. Please help us raise the funds to offset costs. One of these fabulous beauties can be yours! Only $20! 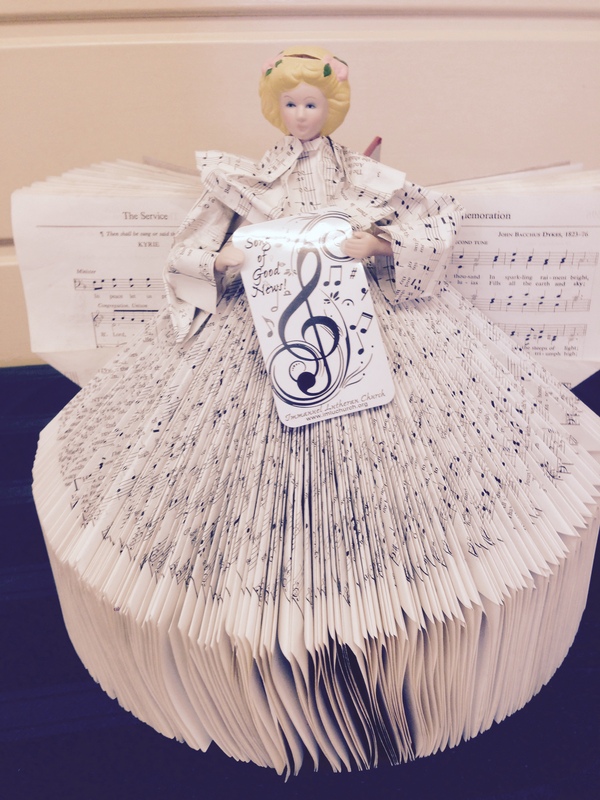 Help us use some of the many red and black hymnals we found to make beautiful angels… each one unique! Make one for yourself and make more to help the youth! Hymnal angels Instructions. Hymnals available at church for the taking!